Kenton's Infotainment Scan: Red River College: "Put a cork in it"
Red River College now has its own private wine label. 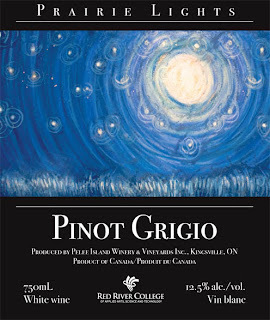 The wine is produced and bottled for RRC by Pelee Island Winery and is available at the Kenaston Wine Market in Prairie Lights Pinot Grigio and Shiraz. In related news, I'm applying for a teaching position in Hospitality, where - clearly - they're gettin' it done.